DESCRIPTION: Electrical systems design of a new fire station including new service entrance switchgear and emergency power system utilizing on-site diesel back-up generator for all life-safety systems. 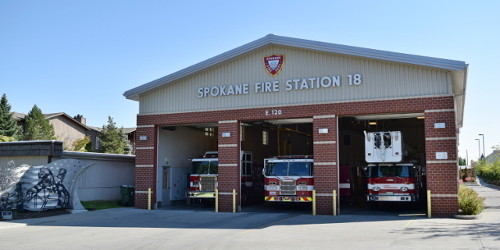 Special System design includes fire alarm, communications, and customized control systems for firefighter response applications. The design included 3 apparatus bays to fit the building onto an unconventional site layout.